It may seem early but now is the time to start thinking of starting fall tomatoes and peppers from seed. July 15th is the start date to plant fall tomatoes. It takes 5-6 weeks to get them germinated and mature enough before you can plant them in the garden. The keys are good loose planting mix, consistent moisture and temperatures. 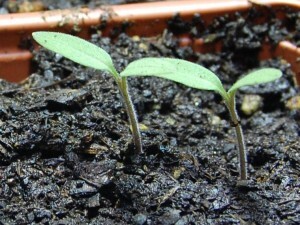 The hard part is keeping the planted seeds in the 75 – 85 Fahrenheit range. Come visit us and pick up seeds for your fall garden! This entry was posted on Saturday, June 14th, 2014 at 8:48 am	and is filed under News & Updates. You can follow any responses to this entry through the RSS 2.0 feed. Both comments and pings are currently closed.